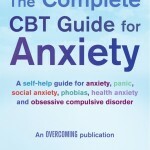 CBT has been scientifically proven over many years to help a number of mental health difficulties. Don’t suffer in silence, let me help you. With the right assessment and treatment your difficulties can be overcome and you can start living a healthier and happier life.